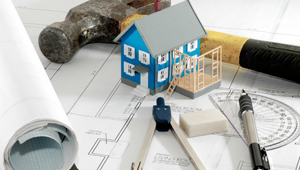 When home-owners are faced with the option of upgrading the value of their home, it is becoming more common to renovate instead of moving to another location. Depending on the age, value, and condition of the home, it might be better to either demolish it and build a new one, or develop it to a better state. Many Perth residents are choosing to turn their current home into a luxury one instead of buying a new home, as rising house prices have made it difficult for buyers to get a mortgage. If you already have your own home, then it can be a much smaller and easier investment to have its value increased with renovations and upgrades. Insulation - today's insulation materials are not only safe, but many more times effective than previous versions. Additionally, by using a combination of polymer, wood, and metal substances in layers, you can create a variety of effects that work together to keep your home waterproof, aerated, insulated, and even fireproof. Wiring - many older homes have wiring that is out of date and can be dangerous. By upgrading your electrical circuits, you will be able to use more appliances in the home simultaneously, as well as benefitting from massive reductions in your utility bills because of green-certified devices. Plumbing - older pipes can be replaced with sturdy, polymer pipes that last a lot longer and do not leech harmful metals into the water supply. They are also easier to clean with biodegradable chemicals that do no damage to the environment. Networking - a great luxury feature in modern urban home designs is a networking capability. Rooms either have Ethernet connections, or there is a built-in wireless network. Multiple devices can be attached to this system, including CCTV cameras, alarm systems, motion sensing units, computers, an Internet connection, skylight/curtain/window controls, garage doors, and much more. If the area you currently live in is becoming more of a luxury neighbourhood and you do not wish to pay a higher tax rate, then you might consider upgrading your home to luxury accommodation so you can rent it out to professional couples or upper-class families. Then you can rent the home out and move to an area more suited to your needs. For instance, many older home-owners are using this opportunity to move out to the country and take up retirement in conditions that they prefer, while greatly supplementing their income. The real value of a home often depends on the demographics and preferences of the buyers. Depending on the type of people you are expecting to sell the home to at the value you set, you might want to do different sorts of upgrades. The basic upgrades to the infrastructure are probably going to be necessary no matter what your demographic is. By making the necessary infrastructure upgrades and complying with the building code you are also insuring yourself from future issues in case litigation becomes a course of action against you at some point. When deciding whether to add cosmetic or practical upgrades, you might want to consider a few things. Practical additions to a home help everybody, even if they don't immediately know how to use them. Well-placed doors, serving windows, raised versus lowered interior floor plans, bay windows, easy-to-use and effective blinds, a proper HVAC or ventilation system, can all be wonderful additions to a home that provide practicality and comfort at the same time. Whenever you have doubts about how to proceed with demolishing or developing your home, you should consult a professional architect or certified engineer who will be able to help you. Some of the options available: pre-fabricated homes, blueprints and full-construction support, or on-site support that is continuous throughout the project. The other reason why you want to work with a professional who is certified in home construction is because you will need to comply with local and state government regulations and building codes. You might also need a variety of approvals to have construction work done on your home and an engineer will be able to help you obtain the necessary paperwork. Lastly, it is also important from the point of view of health and safety that your home meets all of the necessary codes and regulations. It is unlikely that you will be able to construct what you want unless you can also get it insured, and the insurance companies will not insure extensions and renovations unless they are fully safe.